Additional Info: International professional experience in orchestra, chamber music, recitals, and concertos. 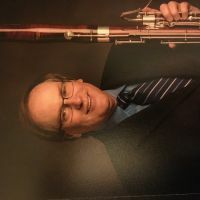 Former Principal Bassoon in Oklahoma City Philharmonic Orchestra, Fox Valley Symphony, Academia Filarmonica, and Oshkosh Symphony. Solo Bassoonist with Classical Music Festival orchestra in Eisenstaedt, Austria for 17 summers. Solo and chamber music performances at Sewanee Summer Music Festival, Red Lodge (MT) Music Festival, and Brightmusic of Oklahoma City. 31 years as bassoonist in Oklahoma Woodwind Quintet, including Carnegie Recital Hall, European tour, and release of 1st Christmas CD (A Christmas Delight!, 1991). Performances heard on NPR and European Public Radio. Available for concert appearances.